DEAN FREEMAN has shot the likes of David Beckham, Leona Lewis, and Michael Buble'. Described as an "ICON maker" his work is intimate, relatable, and evocative. Also, if you enjoy the likes of Michael Buble', check out his book "Onstage/Offstage" for some insight into the world of a world class entertainer. The book is full of Dean Freeman photographs-Freeman also acted as creative director for the design of the book! 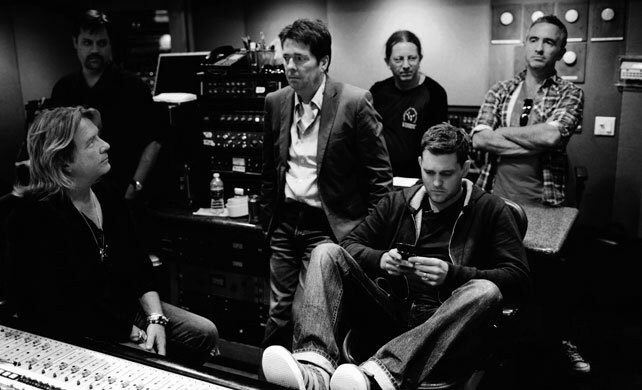 Michael Buble' in the studio photographed by Dean Freeman.